For those of you who were unable to come to the 45th reunion, here is a link to the video we played in honor of the students we know that has passed away since graduation. Some folks have been having difficulty making the Facebook link on this website work as a clickable link. For some reason, in the previous announcement, the link is not active. You have to be signed in to Facebook for this page to open. This link should be clickable now. However, you may still need to copy and paste the link to your browser to get to the Facebook page. Once there, you can let us know if you are coming or not. Letting us know will help greatly in ordering food, etc. There will be a 45th class reunion April 16th in Abilene at the MCM Elegante Hotel. I have provided a Facebook link to the invite page where you can let us know if you attend or not. "So sorry to hear of Pam's passing. We were classmates at..."
Pamela J. (Minshew) Farquhar, born August 18, 1953, left this earth to be with her loving Lord on June 30, 2015. She is preceded in death by her parents Clyde and Ida Mae Minshew, sisters Evelyn Rodgers, Charlsie Johnson, and brother, Travis Minshew. She is survived by sister and brother-in-law, Voncille and Ron Norris and sister Gwendolyn Dean, all of Texarkana, brother and sister-in-law, Ed and Jerri Minshew of Georgetown. She had numerous nieces and nephews. 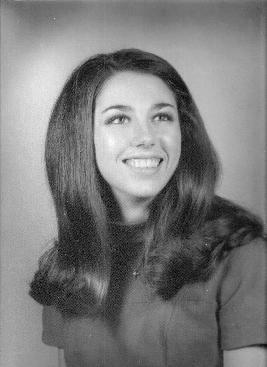 Pam graduated from Cooper High School in 1971 and attended Hardin Simmons University for two years. She was a devout Baptist and loved her family. She lived life on her terms, had an infectious laugh, and will be sorely missed. Graveside services will be held Monday, July 6, 2015, 1:30 pm at Abilene City Cemetery, I.O.O.F. Please also see if anyone you know and are in touch with has not joined this site and provided their communication information, particularly email, so when events do happen we will be able to invite everyone. For those who have not heard, Tommy Taylor was tragically killed in a plane crash, June 19, 2014, west of Lubbock. He was piloting his plane in route to Brenham, Texas. Expected cause of the crash is weather. Be praying for his Dad, Russell, his brother, Billy and his children. Tommy has lost his sister and another brother, previously. It is with a very heavy heart that I want to let everyone know of the passing of Tommy Taylor. Tommy was piloting his airplane on a flight from Aspen Colorado to Brenham Texas Wednesday June 18th when his plane went down in a field West of Lubbock after encountering a very severe thunderstorm. Two other company employees were on board, there were no survivors. CHS Class of 1971 Reuion...over! We hope everyone had a great time. Should the next one be in five years?! Some follow up info will be posted (& emailed) later. For now, we just say 'thank you!' and please know that this website will be up through Jan.2013. Keep reaching out to your high school friends (check the tab: Missing Classmates) to invite them to this website so they can join and connect with everyone, and v.v. We won't publish a master email list but you can stay connected to each other through this site, and exchange email addresses if you choose, via this site. We enjoyed connecting with you all!